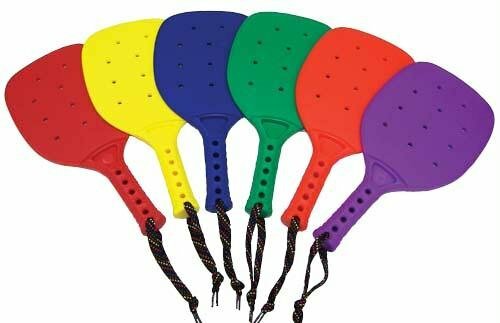 Durable one-piece paddle that is break resistant. Designed for players 12 years of age and older. Use with foam, plastic, and rubber balls. 15" long overall. Each set includes 1 of each color: Blue, Green, Orange, Purple, Red and Yellow. Made in the USA. If you have any questions about this product by Pick A Paddle, contact us by completing and submitting the form below. If you are looking for a specif part number, please include it with your message.